Our months-long semesters are a collection of classes bundled together as connected learning experiences. Our children will connect their learning with prior knowledge and build upon it in deep, engaging hands-on projects. Through these projects, we will help children develop a sense of agency in negotiating the learning process. 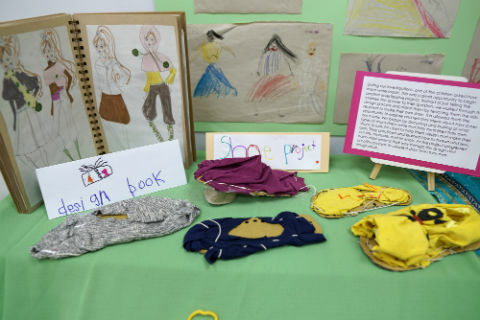 We also supplement these projects with developmentally-appropriate language and literacy instruction to promote English language acquisition in meaningful contexts that often relate to the projects we work on together. 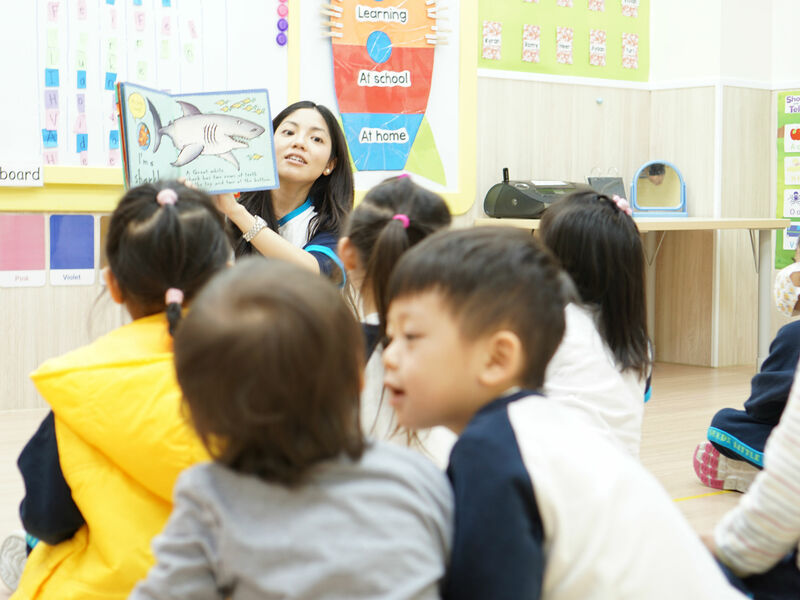 Our children learn English through developmentally-appropriate learning experiences using curriculum and materials designed especially for young children ages 3-6. 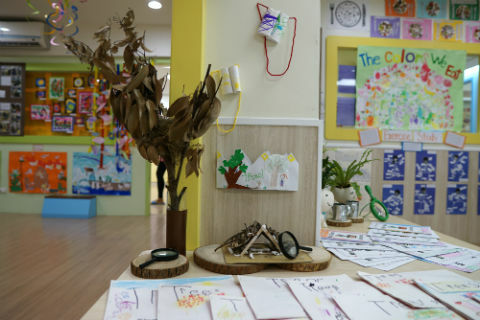 Through carefully designed activities that foster meaning making and making connections with prior knowledge, the children learn how to read, write, speak, and listen to English. We have a balanced approach to teaching large and small groups of children. Rather than always teaching the entire class the same thing at the same time, our teachers group children intentionally into small groups. 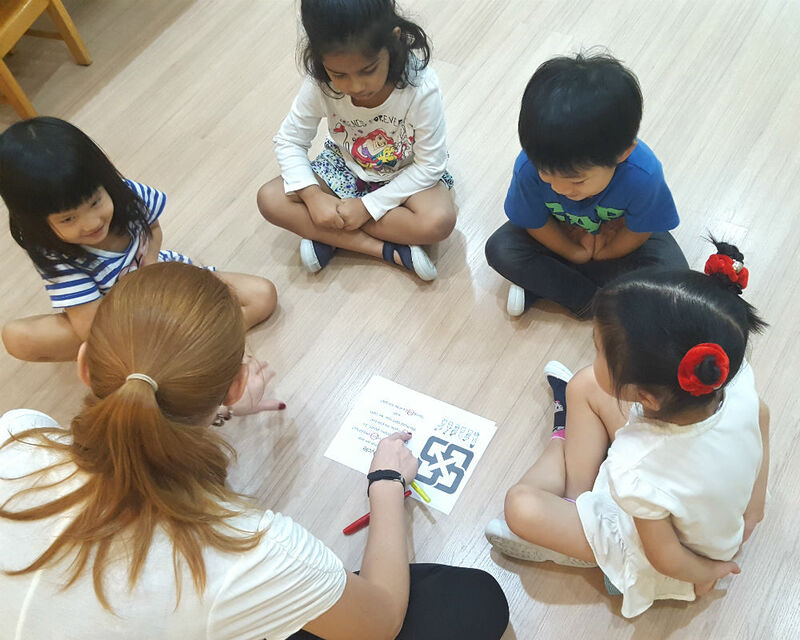 In these small groups we're able to target the appropriate amount of challenge for the children and they get more personalized attention as a result. By maintaining a thread of learning through several weeks of classes, our children and teachers can add more depth and meaning to what they learn. Our children make connections with prior knowledge and explore ideas deeply. 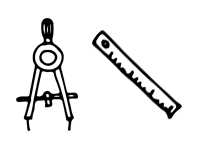 We use the project approach to design engaging weeks- and even months-long projects and investigations we call Studies. Our Studies cover topics that are worth learning about and are often interesting to children. They involve everyday objects, places, living and non-living things, and ideas that most children might already know something about. Our teachers will extend their knowledge and vocabulary based on what they already know and what we think they should learn. The path each class takes through any given Study is driven by the intersection of what the children are interested in and our learning objectives for the Study. This dynamic process keeps the learning engaging and, most importantly, meaningful to the children. As they learn more about themselves, each other, and the world around them we also develop the language skills they need to talk about it all, and to reflect on and share what they’ve learned. No. 27, Lane 473, Guangfu S. Rd.